WK JAYA SDN. BHD were incorporated in 2011. 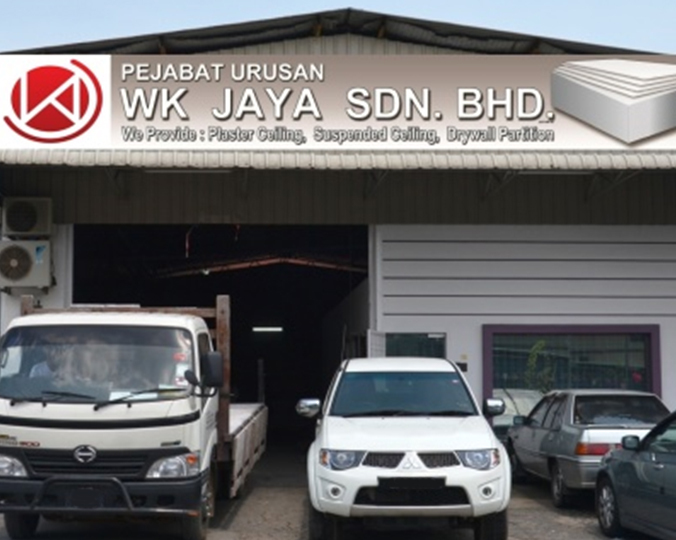 WK JAYA has since developed and expanded to become one of the main players in the Ceiling and Partition industry in Malaysia. With those different brand suppliers and products provided as well as the well trained and knowledgeable contractors, WK JAYA is able to find a best solution from design consultation to product installation to meet your needs and requirements on Special Ceiling Design which consist of plain fibrous plaster ceilings, artistic ceiling roses, decorative cornices, rosettes, fanciful arches and many more as well as Soundproofing Issues and etc. In addition, WK JAYA is able to execute in the Contract Works for the Commercial Project for example Hotels, Shopping Complex and many more. WK JAYA’s range of boards has achieved the wide acceptance in the commercial, institutional and residential market, and we are continuously expanded our marketing with quality and excellence services. Our qualified professional personnel will always at your call to render prompt and efficient after sales services, if ever the need arise. We stand behind every product we provide and install with our company philosophy which is commitment to serve excellence. To be the leading distributor of plaster ceiling and partition products and one of the leading renovation company in the region. Our mission is to continuously satisfy our customer through our best solutions, services and products. We ensure the success of our company by constantly and consistently satisfying our customers and employees.